I am often asked by random people that I met online with regards to purchasing custom domain and web host. We all know that custom domain is something that you own and registered with your discretion. Normally, I recommend GoDaddy.com and NameCheap in terms of custom domain because I already tried availing the services of these sellers. 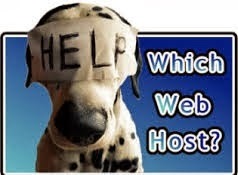 And in the case of web host which is essential for you to have if you would like your site to run and function online. With this, I recommend BlueHost.com. 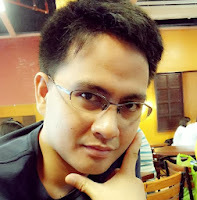 To be transparent to you, I use free web hosting provided by blogger.com but I buy my custom domain. If we are going to look at this, it means to say that I am not spending too much in web hosting and my finances usually go to custom domains that I make use as my blogs. In this article, I will be discussing to you the reasons why you should have your custom domain and own web host for your blog. You will learn a lot of things so that the moment you are going to purchase your own domain, you will not regret with what you did or be satisfied with your web host. What is so called "Custom Domain Name? 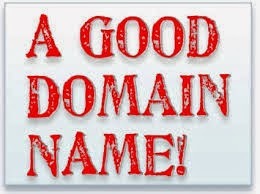 A custom domain name is what you type in your browser when you want to go to a certain website. For example, This blog’s domain name is “www.theblogservices.net”. Technically, because you are putting up a blog that is intended to make money, you should choose a custom domain name that will be a brand blog of yours in the future. You may want to consider getting a different top level domain available in the market. Top level domain (TLD) is the technical term for the letters that follow the “.” in your domain name like .com .net .org and etc. It is not a bad idea to consider purchasing the .net and .org variations of your domain name if .com is not available for your chosen domain to purchase because the popularity doesn't always based on your TLD, it is based on the quality of your contents. Keep it focused. Generic a domain names (e.g. thjeblogservices.com) are nearly all unavailable. Your best bet is to select a domain name that targets your idea more specifically (e.g. theblogservices.net). Hide from hyphens. Using a hyphen in your domain name is not recommended. More often people forget to include a hyphen in a domain name that leading your audience to go to other blog, so avoid it. Beware of the length. Take note that shorter domain names are more easy to memorize but not that readable most of the time. On the other hand, longer domain names are not as easy to remember but can contain more keywords that can boost your domain name’s ability to be seen in a search engine like Google or Yahoo. What is so called "Web Hosting? A web hosting account is what provides you with the server where your website lives on the Internet. Web hosting is a lot like a storage unit that can be access online. With that storage unit, you rent the space from a company that keeps your website contents secure. Hosting plans are extremely affordable these days because of competitions of lot of companies selling web host. The best hosts are those offering you unlimited bandwidth wherein no data limit in viewing your site. Bandwidth limit is like your internet plan wherein they have some limit like 30G data limit every month. If your hosting is not unlimited bandwidth and you got lot of visitors on your site your site will be offline or non accessible anymore once you reached your bandwidth limit, so it is advisable to buy unlimited bandwidth web hosting. A Blog web host is important, a reliable web hosting solution is vital in the long run specially if your blog is created to earn money. Building an audience and traffic for your blog will be difficult if your site is not loading properly or most of the time offline because of certain technical problem with your web host. In fact, you can expect any service interruptions that makes your blog inaccessible sometimes that will take a toll on traffic to your blog. A web host is necessary because it offers guaranteed up-time and reliability. If you cannot afford to get one you can use blogger free hosting service for everyone. Bandwidth and Disk Space: As beginning blogger your needs to estimate how much space and data your website will generate. Disk space is the amount of storage you can get and bandwidth is the amount of traffic can view your site. For example, if you anticipate using a lot of graphics or images you will need bigger storage and bandwidth for your blog. But if you are just starting your blog, most likely to use less than 1 GB of disk space and 5 GB of bandwidth only. Blog Utility: Blogging software is designed to make the creation and maintenance of blogs easier. WestHost supports the most popular blog applications so you can utilize these special functions (i.e. managing blog comments, updating the look, inserting media). Better yet, WestHost uses a special utility called ‘Softaculous’ for the power of one-click installations. This auto installer is fast and installs all the applications you want in just one step. This feature also allows you to keep your blog up-to-date. Flexibility: WestHost allows you to upgrade your account whenever you see fit. The right host for your blog will have this options to upgrade your plan to continually meet your needs when necessary. Domain name is always a must for a blogging if you focuses in monetizing your blog, but paid web hosting is not that always necessary wherein you can get it for free from blogger.com, you can have unlimited bandwidth with blogger.com for free, if you want to create account from blogger visit here. Choosing best domain name and web hosting always the key for fully monetizing your blog. Happy blogging! If you have further queries or you want to share your idea on getting domain or web hosting just post your comment below. Thanks for sharing your experiences about choosing best domain and web hosting. Happy blogging! If I go for .com then how can I make make my blog as google blogger provide so many option to update blog. I started posting blogs for free on wordpress.com. After reading diff blogs, I realized that I can also earn from blogging but it requires diff factors like choosing a webhost. I have read a lot of suggestions and until now I still don't know what to choose. Bluehost offers less than $3 a month which is quite affordable for me and I was almost ready to pay for it until I read forums that bluehost is one of the worst webhosts. now i'm lost and confused again.. do you have other suggestions? bluehost is one of popular and cheap hosting I know, better try them first then if you are not satisfied with their services that's the time to look for other hosting services.